The 29th dive on the Pa Siren trip and third at Gili Banta. 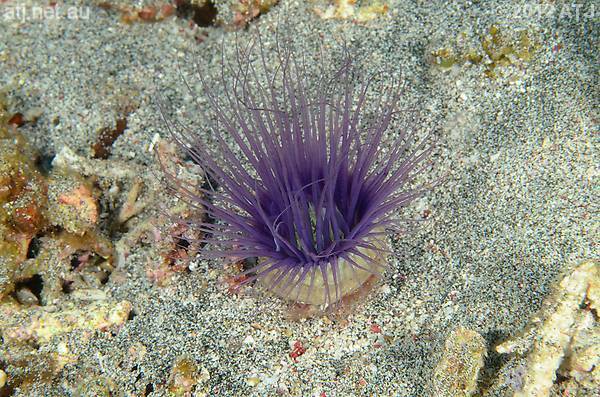 A simple dive following a reef from the deep to the shallows. Depth information, where present, indicates the depth of the camera when the photograph was taken and can be used to approximate the depth of the subject. 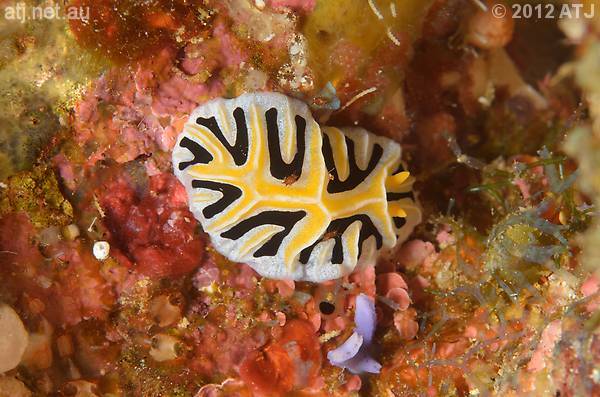 Nudibranch, Reticulidia fungia. 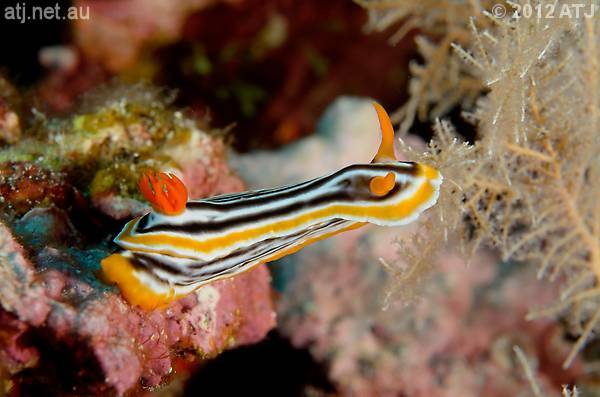 18.5 m.
Nudibranch, Chromodoris magnifica. 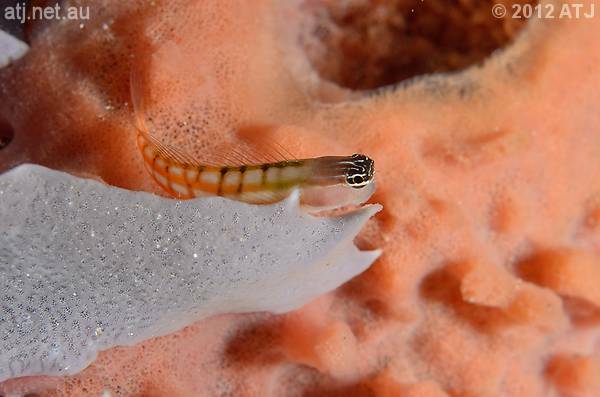 19.4 m.
Bath's comb-tooth, Ecsenius bathi. 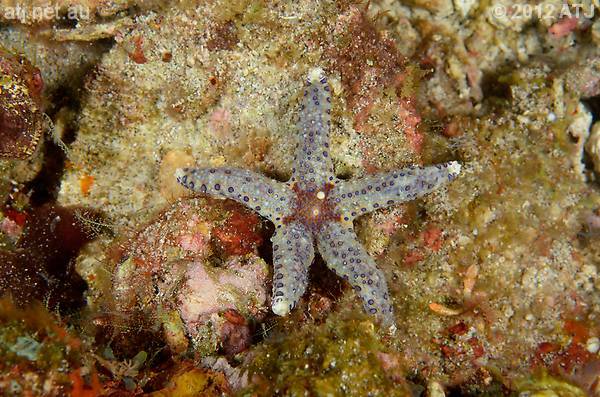 21.2 m.
Sea star, Neoferdina cumingi. 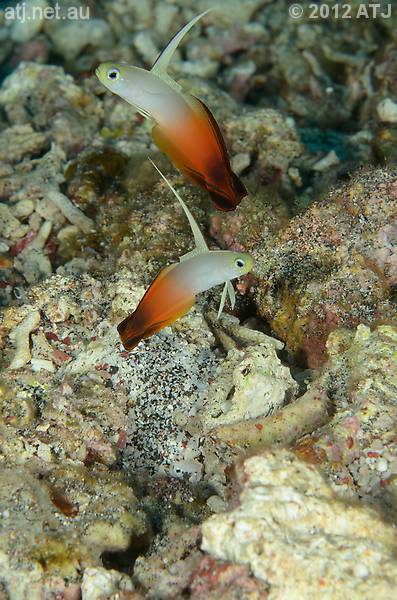 20.9 m.
Red firefish, Nemateleotris magnifica. 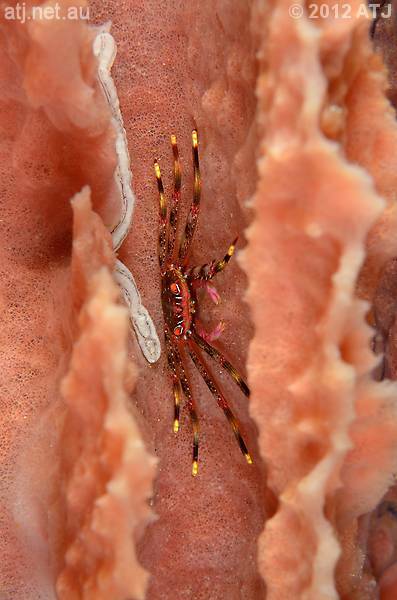 18.2 m.
Flat rock crab, Percnon planissimum. 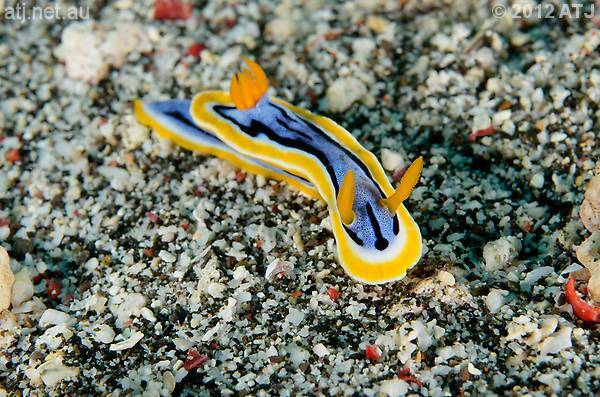 14.2 m.
Nudibranch, Chromodoris elizabethina. 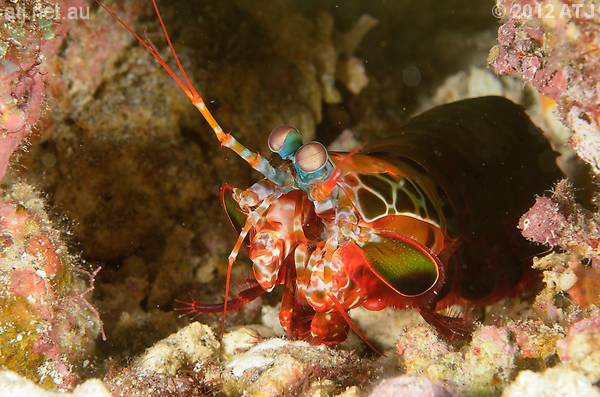 10.2 m.
Peacock mantis shrimp, Odontodactylus scyllarus. 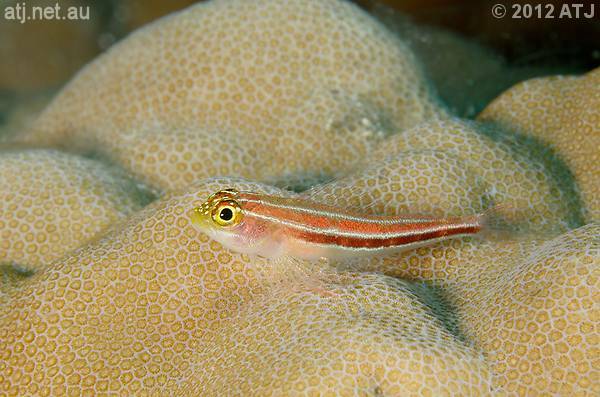 9.7 m.
Tropical striped threefin, Helcogramma striata. 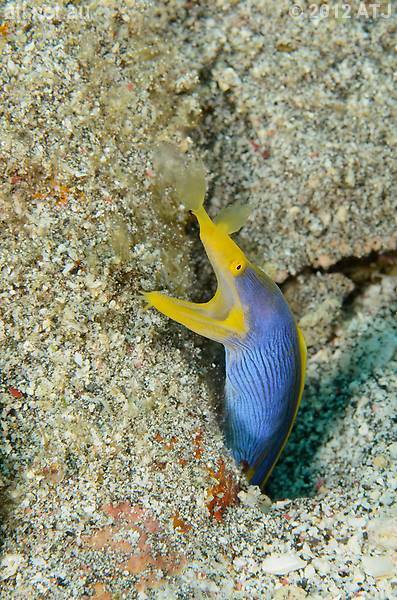 6.2 m.
Female ribbon eel, Rhinomuraena quaesita. 6.6 m.